Have you ever considered buying bulk flowers online? Did you know this was possible? Buying flowers in bulk online is a fairly new trend that is nevertheless becoming more and more popular with those looking for discounted flowers for events. If you’re looking into the possibility of ordering fresh bulk flowers, you should first understand a few facts about the process. Knowing a little bit more about how this ordering process works is the first step toward making sure you have a great experience every time you order. 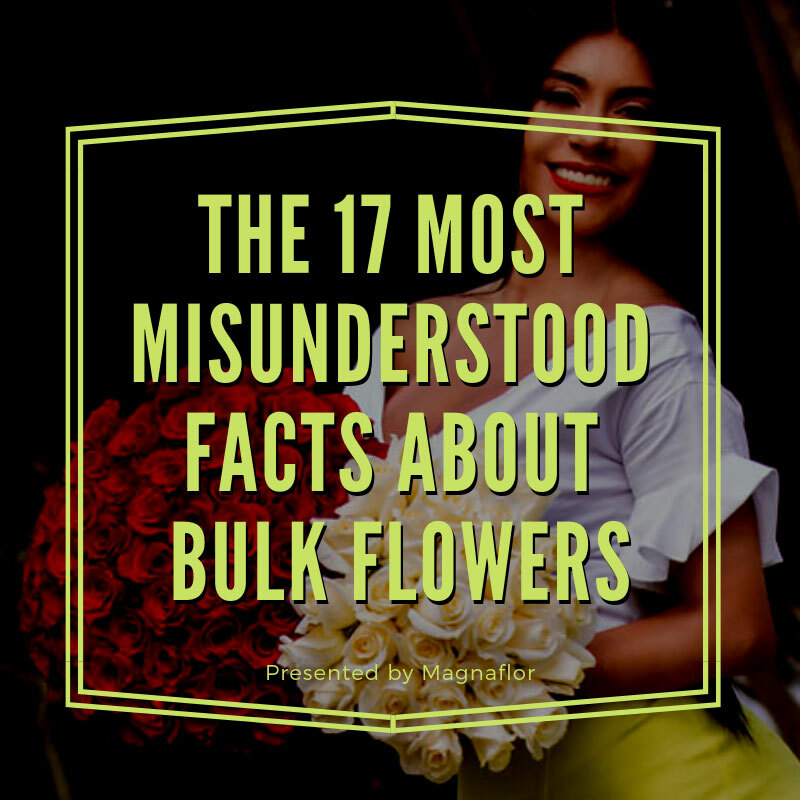 Check out our list of 17 misunderstood bulk flower facts below to help you get started. 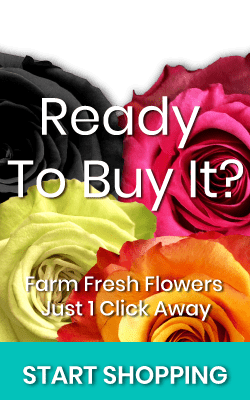 Many people feel that there aren’t a lot of options or that there may only be a couple of traditional choices to pick from when buying bulk flowers online, but you can actually find a variety of flower types and colors to choose from. Whether you’re looking for luxury roses or something simple and traditional, you can find all this and more when buying bulk flowers online. Many people are concerned about buying red roses online and worried about quality, but as long as you stick to a reputable vendor with good reviews, you don’t have to worry about this at all. Yes, they save you money, but you should still expect to pay reasonable prices for quality products. Yes, buying wholesale does mean you’ll save money over buying individual bouquets. But remember that quality flowers may still be more expensive than you realize, so take time and do some shopping to figure out your flower budget. You don’t have to stick to just one or the other, and you can easily find both from good vendors. You can also find variations of flowers, like wholesale red roses or tinted options, among others. You can choose fresh bulk flowers for all sorts of occasions, not just for weddings. 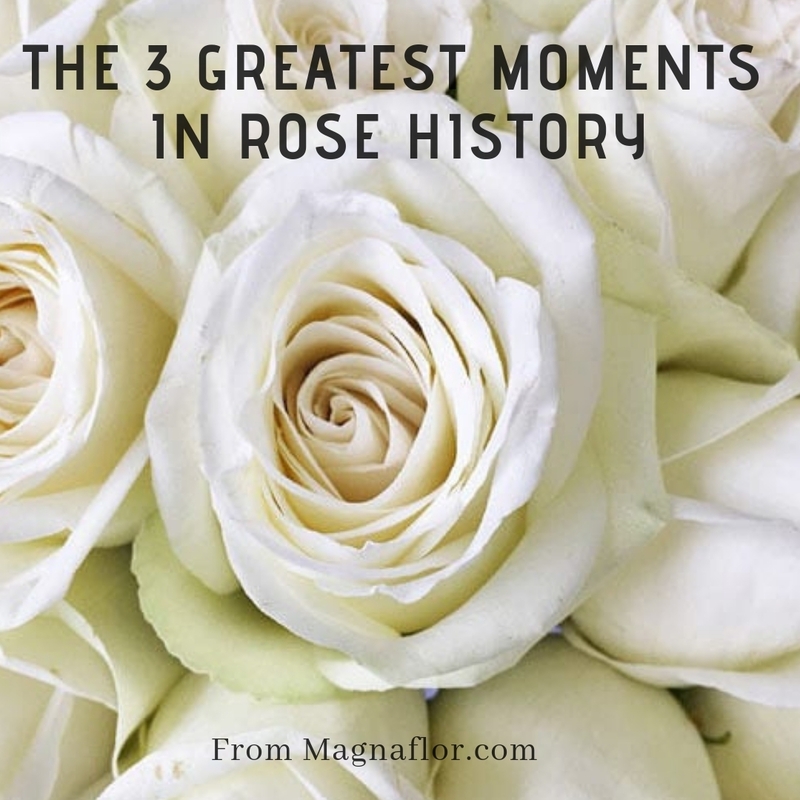 Of course you can find plenty of red roses to express love, but you can also find options for proms, family milestones, holiday parties, and much more. Aside from the classic white and red, you can find yellow, pink, purple, and even Valentines Day roses, among many others. 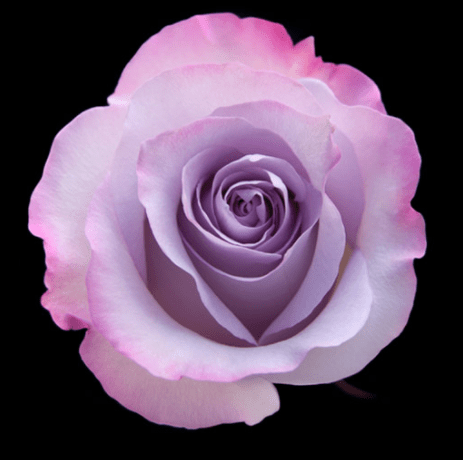 You can even find unique and designer rose options when you order in bulk. Buying from a quality vendor will allow you to choose all sorts of different types of roses, even including rainbow roses delivery. Choose either option, or pick one of each for a beautiful look that will truly stand out as a unique choice all your own. It’s easy to choose your delivery options when ordering in bulk. Although some people may believe delivery is the hardest part of bulk flowers, it’s actually not that difficult at all. You’ll be able to choose the date you want your flowers delivered so you don’t have to worry about them arriving too late—or too early. Just because you’re buying a lot of flowers at once, that doesn’t mean you have to give up on having flowers that look beautiful. 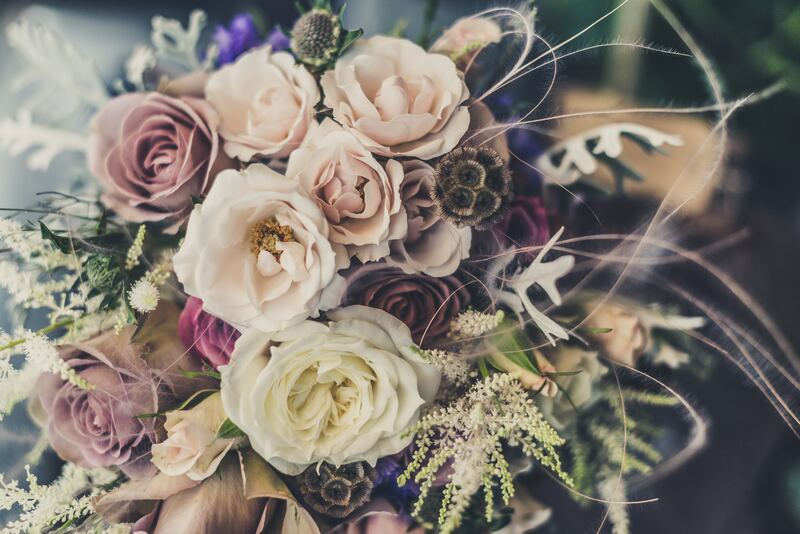 When you choose bulk flowers from Magnaflor, you’ll be able to enjoy the best of both worlds. If you have some time to wait around, you may encounter specials and promos to help you save even more money on your flowers. Some people don’t have the time for something like this, and if you don’t, that’s okay. However, if you’re flexible, you may find flowers that are about to be out of season for a discounted price, or you might find a free shipping special, among other possibilities. Ordering in bulk online may, sometimes, help you find out-of-season flowers. Sometimes, it may be impossible to find flowers that are out of season without paying a huge fee to get them from other parts of the world. However, in some instances, buying bulk online can make this happen. It’s a good option to consider if you’re looking for a unique flower that’s not currently in season where you live. You do not have to be a florist or a designer to order bulk flowers. Depending on the site you buy from, you can be a member of the general public and still get the wholesale price on bulk flowers. Some sites will require you to be a florist or to have a license to buy bulk, but Magnaflor does not. No matter who you are and no matter what your needs may be, you are welcome to place an order. This ensures that you’ll be getting the freshest possible flowers no matter when you place your order. Lower-quality vendors may pre-cut their flowers before orders are placed, so take care to choose a company that does not do this. Although the packaging may not be as aesthetically pleasing when you buy flowers in bulk, you can rest assured that the flowers will arrive well packaged and cared for to the best of the vendor’s abilities. You can expect them to have about the same lifespan as other flowers you purchase from a florist or flower supplier, especially when you take care of them properly. View our large assortment here.